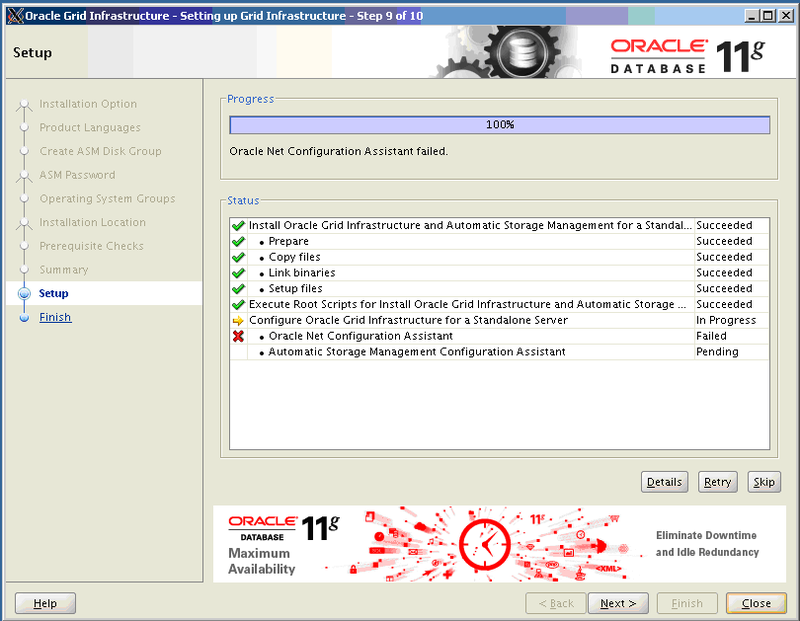 For the purpose of ASM install Oracle Grid Infrastructure for Standalone Server. I tried to fix it and rerun root.sh before that reconfigure is needed. 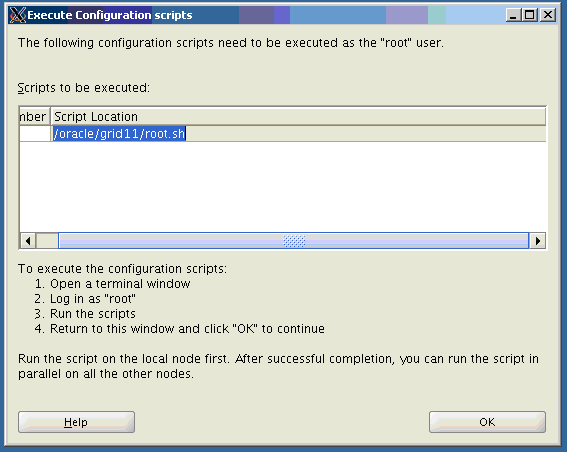 Anyway, root.sh script failed with the same error and the only thing left was to continue and skip this. 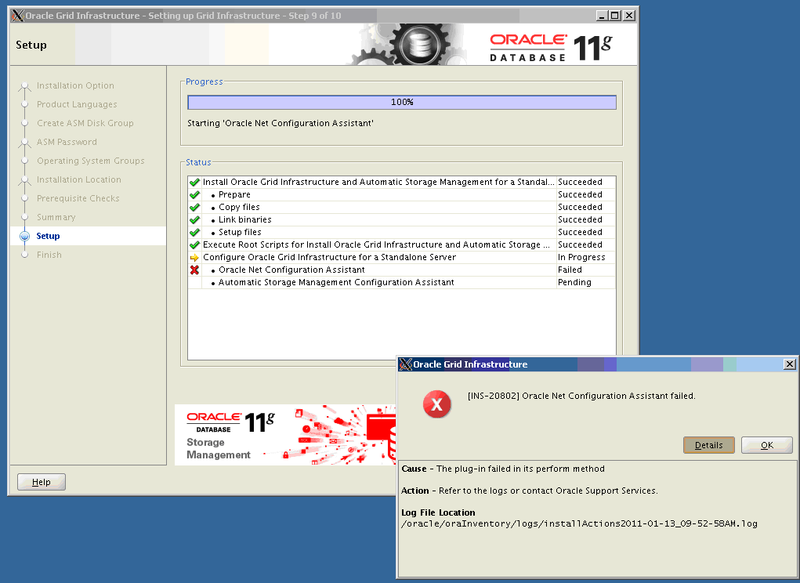 The real issue is at the stage of Oracle net Configuration Assistant. The case is that when running 64-bit hardware you have to use 64-bit OS and Oracle 11gR2 (or later) 64-bit, otherwise NETCA fails with Java VM: Java HotSpot. Although the Linux OS that has been installed is indeed a supported 32-bit Linux OS, the hardware that is being used is 64-bit x86_64 hardware. 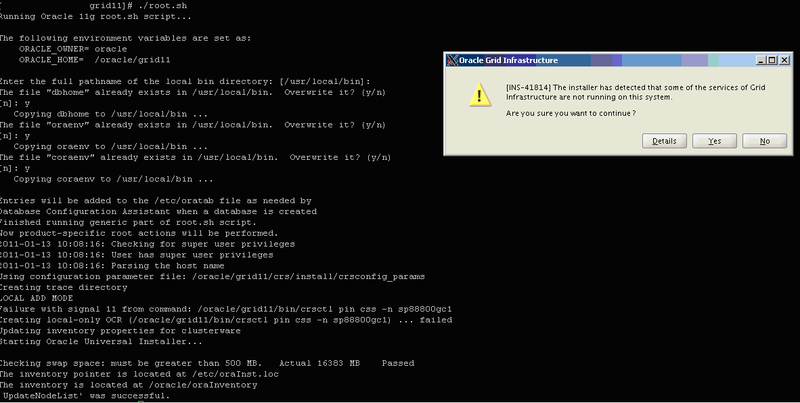 You have Oracle’s 32-bit 11.2.0.1.0 RDBMS software, a supported 32-bit Linux OS, but you are on 64-bit x86_64 hardware. Obviously in this case I have to reinstall the OS and use RHEL5 (64 bit) and Oracle Database 11g Release 2 (11.2) – 64 bit. Have this in mind at an earlier stage.